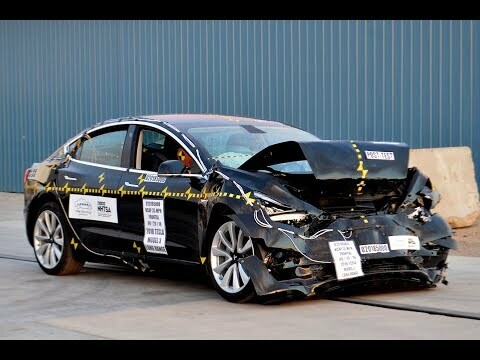 2018 Tesla Model 3 Crash Test 5-star rating safety! Elon Musk says it might be the "safest car ever tested." 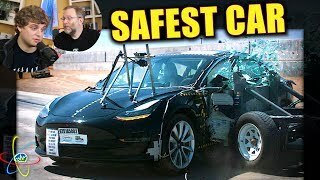 Elon Musk was beaming about the test results on Twitter, telling the world that the "Model 3 has a shot at being [the] safest car ever tested." Such good news must no doubt be welcome after what feels like a relentless string of negativity surrounding the automaker. 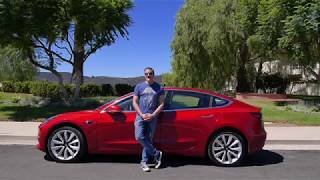 Tesla has long argued it makes some of the safest new cars on the road today. 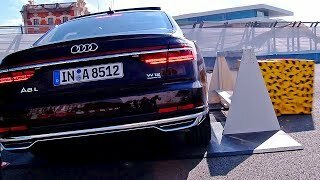 There’s no doubt it can aggressively talk the talk, and results published by the National Highway Traffic Safety Administration (NHTSA) now prove it can walk the walk, too. 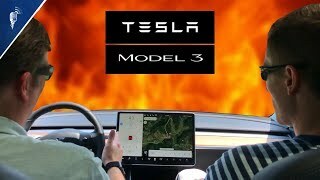 The company’s entry-level Model 3 has received a five-star crash test rating. 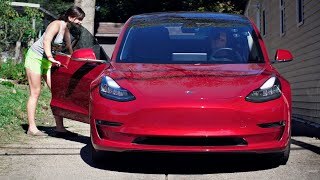 The rear-wheel drive Model 3 impressed the NHTSA’s testers by achieving a five-star rating across the board. It was jettisoned against a fixed barrier to simulate a front-end impact in which both vehicles are traveling at 35 mph; it passed by successfully protecting the front occupants. It was t-boned at 38.5 mph and thrown against a fixed pole; it passed again, achieving high marks for its ability to shield the front and rear occupants. The NHTSA ended the ceremony by rolling it; it passed yet again. 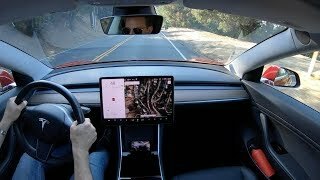 Tesla’s suite of electronic driving aids also met NHTSA performance tests. These include forward collision warning, lane departure warning, crash imminent braking, and dynamic brake support. 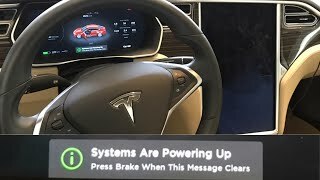 They’re all found on the list of the Model 3’s standard equipment. The NHTSA does note that Tesla doesn’t offer dynamic head restraints. 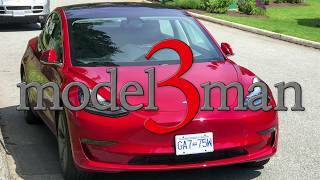 The Model 3 joins an elite group of cars who have earned a five-star safety rating from the NHTSA. 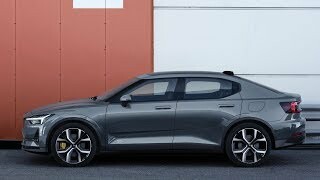 The list of five-star models includes every current member of the Volvo lineup that has received a rating from the agency, which is hardly a surprising feat considering the Swedish firm’s decades-long reputation for safety. 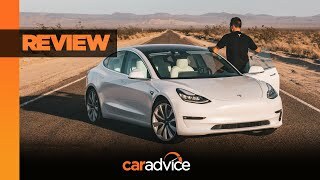 The Audi Q5, the Volkswagen Golf, the Dodge Charger, Tesla’s own Model X, and the Honda Ridgeline are also among the models with five stars. The NHTSA is one of the two main agencies in charge of testing new cars in the United States. The second one is the Insurance Institute for Highway Safety (IIHS). 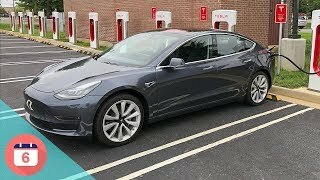 It hasn’t fully tested the Model 3 yet. 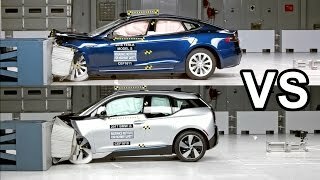 Its rating will play a significant role in cementing the car’s reputation as one of the safest new models on the market because it usually takes a stricter approach to crash testing. 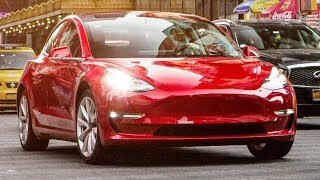 The results are promising: the IIHS gave the Model 3 a “superior” rating for crash prevention, noting it avoided a collision at 12 and 25 mph, and gave its headlights an acceptable rating. Where's the 60 MPH Crash Test? At 35 MPH the car looks like it's totalled! Matthew Wiemer Appearances can be deceiving. 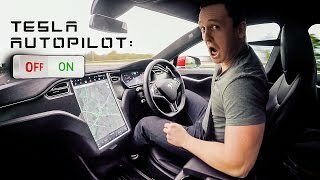 Teslas have a massive crumple zone in the front and back that allows for kinetic energy to dissipate during a collision, protecting the driver. The batter pack is rigid as is the skeletal frame and that prevents the driver and passenger compartments from being encroached on. A car that looks fine after a crash is almost certainly not safer. As the kinetic energy has nowhere to go, the driver and passengers will experience fatal whiplash and g-force. 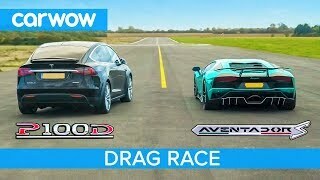 YEs no rear end test then ??????????????????????????? ferkemall For “money” reasons, the nhtsa (I really hope that’s right) doesn’t test rear collisions. 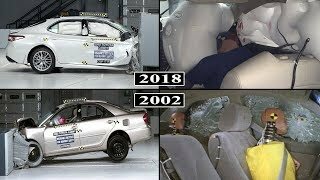 They’ve been known to avoid testing certain things to make it easier for mainstream car companies to make a car cheaper than it should be in terms of safety. 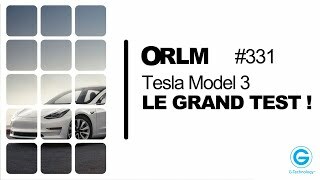 ORLM-331 : Tesla Model 3, Le grand test ! 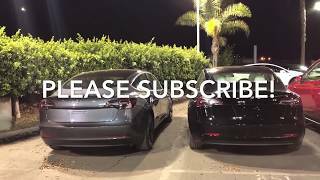 Surprising Uber Riders with a Tesla Model 3! 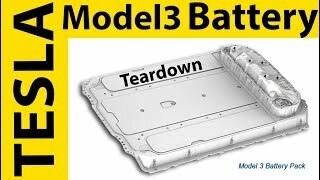 Someone Killed My Model 3 - but we're uninjured!